LAHORE: The Walled City of Lahore Authority (WCLA) has taken up the restoration of some 24 dilapidated buildings out of 601 dangerous properties inside the Walled City of Lahore, whereas 25 such buildings were restored in June 2018. The properties being restored are located inside Delhi Gate, Masti Gate, Lohari Gate, Sheranwala Gate, Kashmiri Gate and Yakki Gate and include A-609, A-2100, A-2115, A-2119, B-107, B-111, B-114, B-191, B-359, B-603, D-3304, D-3308, D-3309, D-4391, D-3992, I-1268, A-1230, G-174, G-569, G-179, G-169, G-148, H-966 and H-1144. The number of total properties (residential and commercial) inside the Walled City was 22,000, out of which almost 601 were listed as dangerous according to a list prepared by WCLA. Further, the properties were divided into two categories and 262 were set for demolishing while 228 were stated to be in need of immediate repairing. The buildings being repaired are the ones which needed immediate attention and had high architectural merit value. 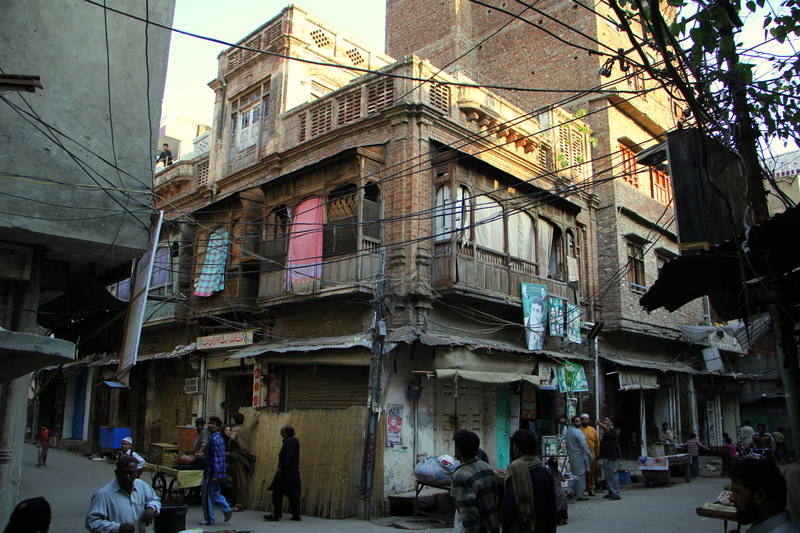 Sources informed Pakistan Today that as the properties inside the walled city were closely knitted, the demolition of one property affected the foundations and structure of the entire neighbourhood and therefore it was important to take up the restoration of the dangerous buildings as they were also a threat to the people’s life. They further said that the building control department of WCLA was inefficient in controlling the re-use of the properties due to which many of the residential units inside the city were being changed into commercial plazas, thus spoiling the feel and mood of the city. 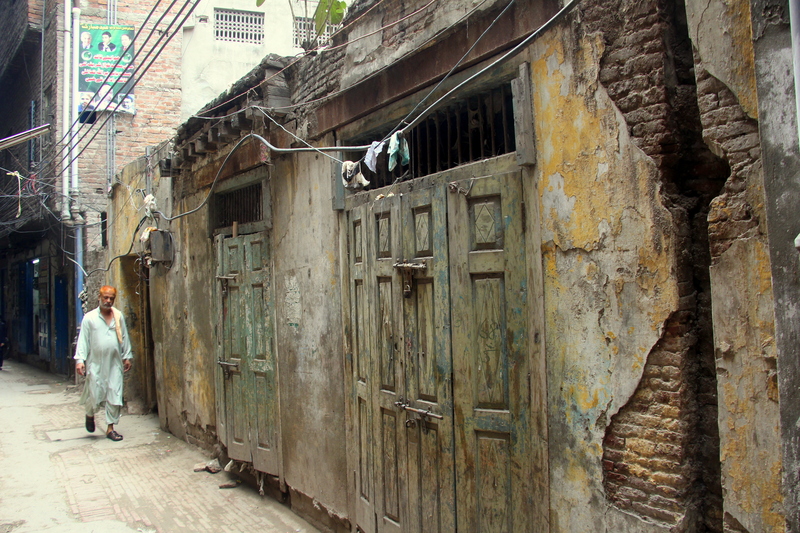 A local of the Walled City, Khawaja Naseer told this scribe that his property was derelict that could lead to any untoward incident but WCLA, almost two years ago, had refused to take up the repair saying that they had no funds. He added that recently the staff of WCLA contacted him that his property would be restored by them and that gave him a relief. He further added that many of the dangerous buildings were pulled down by the owners themselves and later the plot was being sold to the plaza mafia. According to an official of WCLA, the restoration of dangerous buildings started with a delay as there were no funds available with WCLA whereas they had been informing the government previously. The official further added that a comprehensive list of the dangerous properties was prepared by the building control department and more buildings would be taken up for conservation in future. A senior architect of WCLA, Azeem Dad, told Pakistan Today that 25 dangerous buildings were restored in June 2018 which also included Havelis like Dina Nath. “Many people inside the city cannot afford the maintenance and repairs of the buildings on their own and that is why WCLA had requested for the funds from the government secure the dangerous buildings which are still in a condition to be restored. The dangerous buildings are a threat to the entire neighbourhood and in case they collapsed, they could cause heavy losses,” Azeem added. 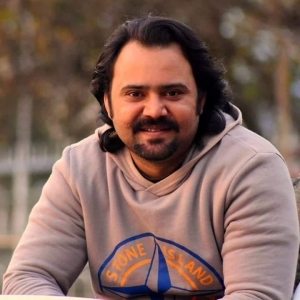 WCLA Conservation and Planning Director Najamus Saquib said that the government had released Rs50 million in the first phase for the restoration of the dangerous buildings and they had selected 24 buildings in phase 1 for restoration. Najam added that saving heritage was the top priority of WCLA and they had developed a list of all the dangerous and heritage properties inside the Walled City. “The data is also being incorporated in the geographical information system established by WCLA. We are preserving these buildings on a war footing as some are very derelict and we can lose them anytime,” he said.